Are you searching frantically for morning sickness remedies that really work? If you're anything like me, you came here today at an absolute boiling point thinking, "Enough of this. I'm so tired of constantly feeling sick." It's such a horrible feeling-- either feeling nauseated all day or actually vomiting all day. Some people say that feeling nausea during early pregnancy is a good sign that your HCG is rising and your baby is sticking really well, so you can take some solace in that consolation prize. But, don't freak yourself out with that knowledge if you don't have it-- just praise the lords for your luck. From what I've read and experienced, whether you get pregnancy sickness or not can vary during each of your pregnancies and if you do have it, whether or not you can prevent or cure it truly depends. These remedies are the best I know of, but they are not guaranteed to work. The only thing that truly seems to work is surviving the first trimester when magically nausea disappears for most women. 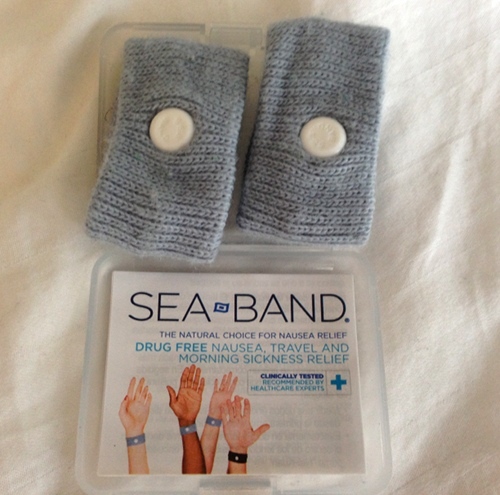 The day I had enough morning sickness for a lifetime, I rushed out to the pharmacy to buy Sea Bands. I looked like a total wreck, and I felt worse. I never actually vomited during my pregnancy, but I felt like I would all day. And there was absolutely nothing that sounded remotely appetizing to me, which made me sad because I love to eat (I actually cried about it one day, but you have to think that was because my hormones were totally wild). The minute I paid, I cracked the package open and threw the bands on my wrists. I sat in the car for a minute or two and waited, and I think I felt a little better immediately. But, I was sure that was a placebo effect. I drove off happy because at that point I was happy for anything that made me feel less nauseated, fake or not. Over the weeks I wore them (nonstop), sometimes I felt like they were god-sends and other days I felt like all they did was dampen the nausea. On those days, you couldn't have convinced me to see what would happen if I didn't have them on. So, for me, they were critical. I finally stopped wearing them in the second trimester with great trepidation, and they were always nearby in case I felt sick again. What Sea Bands do is trigger the pressure point in your wrist that is responsible for how our brain perceives nausea. I did weekly acupuncture and I always had needles stuck in the same spot, so I know that's legit. You do have to follow the directions to make sure you find the correct spot, or basically it won't do much for you. If you have the foresight to buy them ahead of time in anticipation of needing morning sickness remedies, you can save money by buying them from Amazon. I bought them at CVS and would have paid $50 for the pair at the time, but they really should cost around $6-7. Now, when I say that, I mean real, fresh ginger root, not necessarily ginger ale. I don't want to disparage any particular brands, but most ginger ales (especially the ones you buy in plastic liter bottles) are far removed from any type of real ginger. They may have some extracts, but they're mostly sugar and carbonation. There are a few ginger ales on the market that I like, and those usually have visible ginger residue in the bottom of the bottom, which means they are effective as morning sickness remedies. You can make a quick ginger tea by grating fresh ginger root into your mug and then filling it with boiling water. 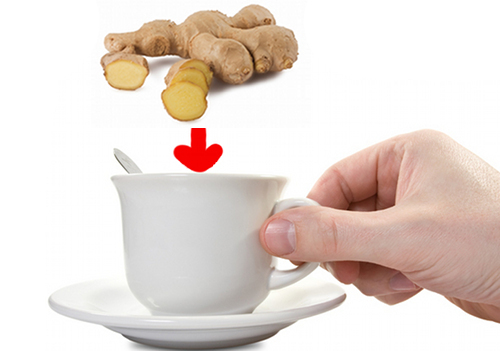 The grated ginger will dissolve and give you a refreshing, belly-soothing quick tea. You can always add some agave nectar or other unrefined sugar to sweeten it, and you can adjust the amount of ginger based on your tastes and the level of your stomachache. I've found some intricate instructions on the internet for brewing your own ginger ale, but I haven't tried to do it myself. There are also great dried ginger slices at most grocery stores that will help you in a pinch. I like to keep a little baggie of ginger in my bedside table. Most of these are heavily covered in sugar, so I consider them more of a convenience than real ginger root food. You can start adding more grated ginger to your meals. I like it grated and squeezed into stir fries, rice or quinoa or any other grain you like, and sprinkled on top of bean dishes. Adding a chunk of ginger into a smoothie can be a great way to curb morning sickness, especially if you are underwhelmed by the strong flavor of ginger. And finally, if you can't stand eating ginger at all, I'd look into getting the supplement of dried ginger from the health food store. You can then swallow the pills and still get most of the benefits. 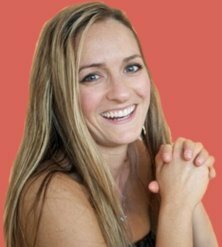 As with most things in life, the closer you are to the source of the whole food, the better for your body, and thus, the more effective a morning sickness remedy. Getting enough sleep at night is a crucial cure for morning sickness. Think back to your college days when you had to wake up for an 8am chemistry class after a big party the night before. You always felt better when you decided to skip that class and sleep until noon. For me, pregnancy sickness was exactly like a Sunday morning hangover, where I felt on the brink of puking all day. The same hangover cures can help-- so try to be lazy and sleep until you don't feel sick, get up slowly, and take naps in the afternoon. Remember that your body is working in overdrive, so give it as much care as you can. You will probably feel better eating a few smaller meals instead of the bigger main meals you might be accustomed to eating. Many women find that their nausea intensifies when they are hungry, so if you eat every two hours you can keep yourself from feeling those hunger pangs. Of course, that can be hard when absolutely nothing sounds appetizing, but try to find bland foods that you can get in your stomach. Often greasy, fried, spicy, or even just warm foods lead to nausea and that bland foods like crackers, plain rice, and cold slices of fruit are easier to eat. High protein snacks like a handful of nuts, nut butter on whole grain bread or crackers, bean spreads like hummus, good raw food bars, or a scoop of wheat germ are excellent morning sickness remedies. Make sure to stay hydrated, as some women can start to feel nauseated when they are actually thirsty. When you're pregnant, you will need more water than normal, so aim for 10 glasses a day. However, to make things more confusing, drinking water while eating can sometimes cause nausea. I found it fascinating that the worst smells to me were the ones that back in my non-vegan days I might have enjoyed. Cheese, for instance, was a mortal enemy of mine during pregnancy. It literally smelled like puke to me. Raw fish was an equal offender, and once I got stuck in the crowd at Pike Place in Seattle and I almost had a panic attack. A huge key to morning sickness remedies comes from avoiding offensive smells. Most women become especially sensitive to smells, even some that they used to enjoy. You can try opening windows when you cook with the offensive foods, or just avoid them completely until your stomach starts to mellow out. Some prenatal pills can really cause nausea, so be sure to eat them on a full stomach. If you still feel sick after taking them, you might want to talk to your doctor about using a different brand, or holding off on taking them for a few days. A good prenatal pill to take when you're experiencing nausea is one with more vitamin B6, which has been shown to prevent nausea, and less iron, which can cause an upset stomach. Acupuncture is one of the more effective morning sickness remedies, and if you're experiencing serious symptoms, it can be extremely successful in alleviating them. You could also look into acupressure wristbands, often called Sea Bands, which hit a trigger point on your wrist called the pericardium 6. 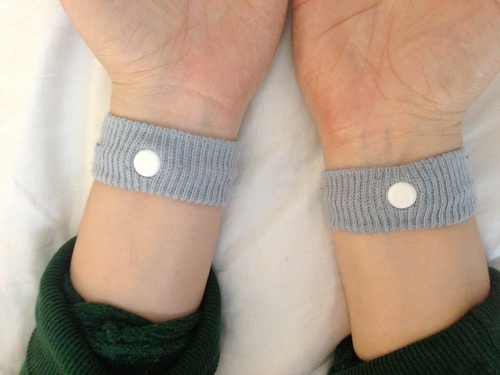 Sea Bands usually work right away, and are another great idea if you haven't been able to stop the nausea with adjustments to your eating schedule. There are also a few essential oils that you can use as morning sickness remedies. To try some aromatherapy, try a diffuser or put a few drops of the oil into a bowl of water and put it near your head while you sleep. You can also dilute the EO with a carrier oil like jojoba, olive, or coconut oil and dab the mixture behind your ears and on your naval. Some good options include peppermint, spearmint, mandarin, Petitigrain, sweet orange, ginger, and lavendar essential oil. Hopefully one or more of these morning sickness remedies will help alleviate your symptoms. Nobody likes nausea, and I know some women can experience it day and night.